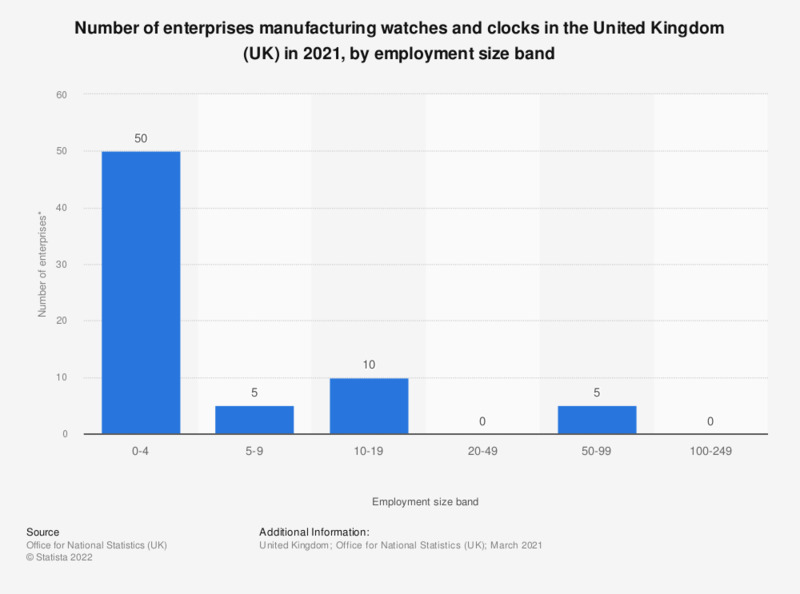 This statistic shows the number of VAT and/or PAYE based enterprises in the manufacture of watches and clocks in the United Kingdom in 2018, by employment size band. As of March 2018, there were 5 enterprises with between 20 and 49 employees. Standard Industrial Classification (UK SIC 2007) Division 2652: Manufacture of watches and clocks.